Xiomara Fong Ramos, wife of Pedro Zayas, has travelled in the Cuba, the Bahamas, the Caribbean, Miami, Florida, and in the Chicagoland area in the USA, and in London, England, Poland, Czechoslovakia, Germany, and the Central European States. Now Aunt Xiomara who is a senior retired urban planner lives in Santiago de Cuba with her husband Pedro Zayas and her Grandchildren who visit her during the summer in Cuba. Aunt Xiomara only has one son whose name is Pedro also, married to Xiomara with two children Eliannie and Rafael Alejandro Zayas. My Mother is the God-mother of Xiomara’s son Pedro. My Mother’s third sister Xiomara was born on July 28, 1948, ten years after her oldest sister and middle sister Dulce María, all legitimate daughters of the Chinese national Alberto Fong and Cuban Irene Ramos Mejías, who managed the business of the Tailoring Garment Factory and Dry Cleaners, Downtown in Kingston, Jamaica. My Grandmother Irene’s oldest son José also known as “Pepín” was the first child from her first marriage. 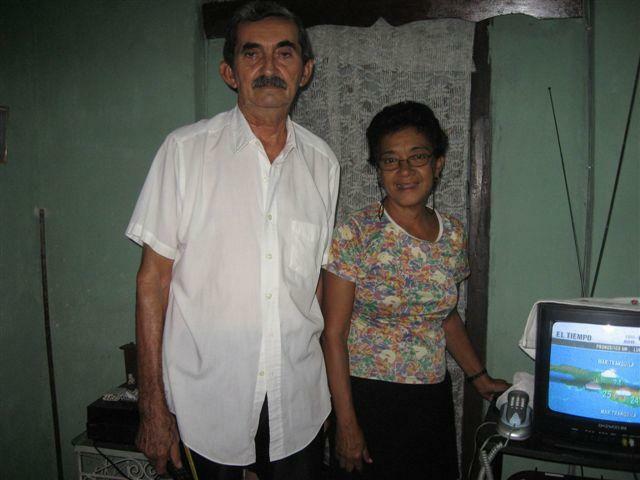 Then my Mother was born in 1938 as the first daughter of her second marriage to Alberto Fong in Santiago de Cuba. Her second broher José Alberto was born before the middle daughter Dulce María, Xiomara was born afterwards, and the youngest son Miguel was born the last of six children begotten by Irene Ramos Mejías during her lifetime between Santiago de Cuba and Kingston, Jamaica. During 1994, Aunt Xiomara visited Miami, Florida, and the Village of Lombard in York Township, DuPage County, Illinois USA. My Mother and youngest brother invited Aunt Xiomara to visit us, after our family purchased two (2) Lombard homes in the state of Illinois, United States of America. Aunt Xiomara travelled by herself to North America. When Aunt Xiomara arrived to O’Hare Airport, we went to pick her up for her holiday visit to Chicago and the Village of Lombard where she stayed with my Mother and youngest brother at 342 West Harrison Street near Main Street and Lilacia Park. That same year, other house guests were invited to our Lombard homes. Reverend Melvin A. Wittler and Mrs. Nancy Wittler (Patriquin) my in-laws and parents of my husband Nathan Scott Wittler, were driving across North America from South Vermont in New England during the Spring of 1994 and coincided with my Aunt Xiomara during our family reunion. My Father, Mr. Roberto Hung invited all of us to breakfast, lunch, and dinner at his expense as a welcoming host in our Lombard home at 502 S. Wesmtmore-Meyers Road and Washington Boulevard in District 5, York Township, DuPage County, Illinois USA. While Aunt Xiomara was visiting us in the Village of Lombard, I used to pick her up in my sportscar Nissan 200SX and driver her to go shopping at the Oakbrook Center to purchase fashion clothes at Lord & Taylor, Marshall Field’s and other stores in DuPage County, Illinois. I bought Aunt Xiomara fashion garments as gifts to take back with her upon returning to Santiago de Cuba. In the past, Uncle Pedro Zayas, Aunt Xiomara and her son Pedro lived in Europe and travelled through London, England, Poland, Czechoslovakia, Germany and the Central European States. When Aunt Xiomara was a young girl, she used to help my Mother while she was studying to be a teacher at the Normal School for Teachers and the University of Oriente in Santiago de Cuba. Aunt Xiomara used to keep my Mother company as a youngest sister, closest friend, and chaperone when the latter met my Father, Roberto Hung when they were introduced at a social event in Santiago de Cuba, before my parents were married on March 23, 1957. Aunt Xiomara is ten (10) years older than I am. Last July 28th, she celebrated her 64th birthday anniversary in Santiago de Cuba where she lives with her family, grandchildren, friends, and co-workers. The family of my Aunt Xiomara and Uncle Pedro Zayas, they also have other relatives who live in state of New Jersey and across the United States of America and around the world. A Life Cycle of the Monarch Butterfly at the Lake View Nature Center on Wild Wednesday from G. Hung Fong on Vimeo.